Home » Posts Tagged "Facebook Engagement"
People from Hubspot address with this nifty infographic the importance of meaningful social media relationships between brands and people to the direction of building trust and engagement and they offer some useful tips based on the core thinking of a “Love Story”. 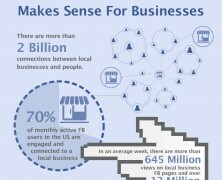 Even more businesses enter the social game in an effort to reach out their fans and prospects. However, low performance in facebook fan engagement is a common concern. Salesforce offers a best practice blueprint to help us make image posts that speak for your page. People from InboundVisibility.com made a list of 14 keynotes for anyone out there in need for more visibility and viral sharing on Facebook. Timing, wording, diversity, inspiration and engagement motivation are some key factors for effective marketing on Facebook. Taking it further to social metrics analysis and benchmarking against competitors’ pages helps to learn what works. 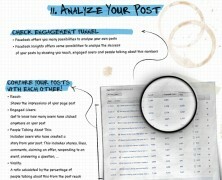 Get some guidelines for fine tuning facebook posting. Bringing people to a facebook fan page and getting them involved needs carefull and fine-cut content strategy. And with the edgerank algorithm lurking and manipulating user reach, the whole game turns into advertising bonanza for social marketers that want results in two twos. Facebook promotions consist a strandard approach to increase fan acquisition and engagement. But which of the 4 presented types is the best working for each goal.